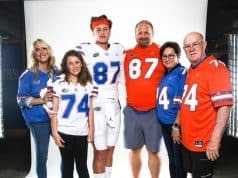 The Florida Gators recruiting class picked up its fourth commitment of the weekend and second on Saturday for the class of 2019. 2019 receiver John Dunmore (6-3, 170, Fort Lauderdale, FL. American Heritage Delray) committed to the Gators on Saturday morning after meeting with head coach Jim McElwain. 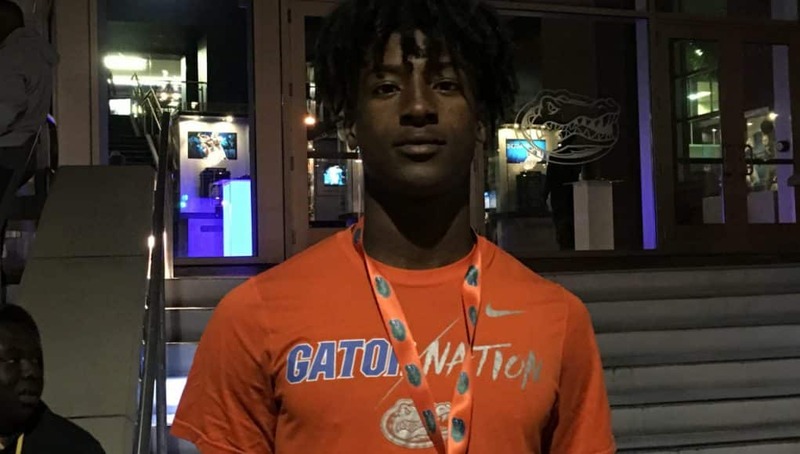 After Friday night’s spring game, the 2019 receiver explained why Florida was the school he liked. Running backs coach JaJuan Seider is the main recruiter for Dunmore and has been recruiting him since Seider coached at West Virginia and the two have a great relationship. 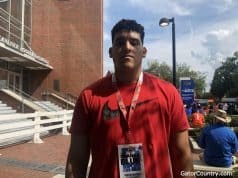 After talking it over with his family, Dunmore decided that everything Florida had to offer was too much to pass up as he explains the Gators have more than just football. Dunmore joins athletes Tyrique Stevenson and Jashon Watkins, receiver Frank Ladson, defensive tackle Jaquaze Sorrels and defensive Jaleel McRae as members of the class of 2019. 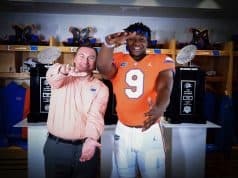 INSIDERS TAKE: Dunmore is a big physical receiver who really goes up and gets the ball and that’s something Florida is looking to add. Dunmore is close with receiver Josh Hammond and defensive back signee Marco Wilson.